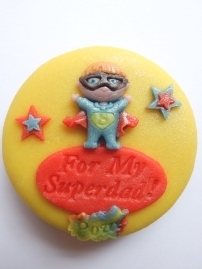 Is your dad a Superdad? 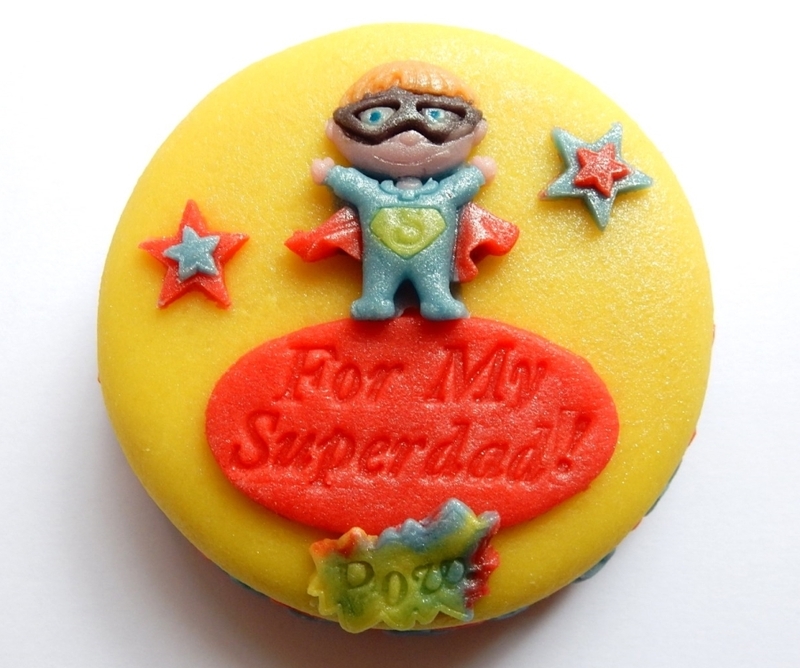 Then he deserves this super hero Marzigram Mini Cake! 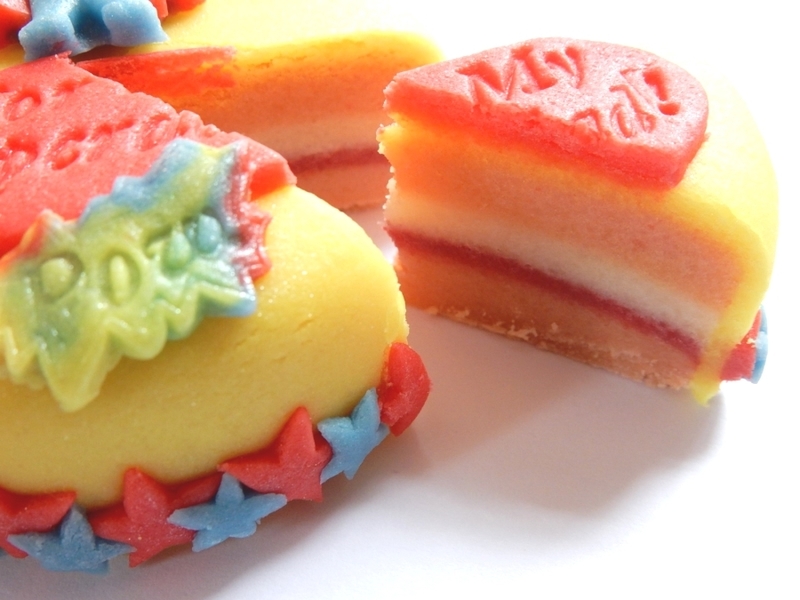 Made from 100% plain almond marzipan with layers of "sponge, jam and cream" inside.